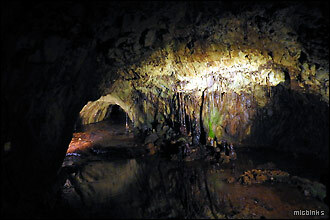 This is page two of three. 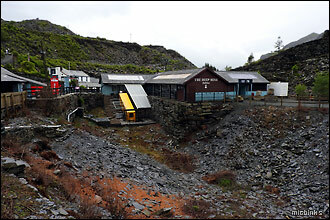 ...tour was very hands-on and the guides invited us to experience the hard work of Victorian era miners and have go at drilling out some slate. 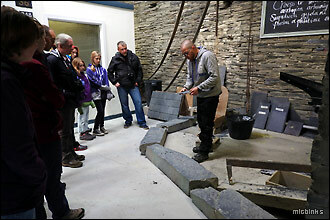 ...final part was, of course, a fascinating slate splitting demonstration. 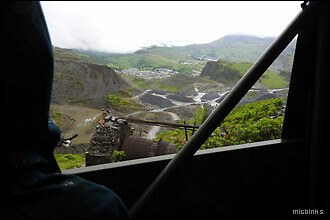 From its Victorian heyday slate production declined after WW2 and in 1975 Llechwedd Slate Caverns tourist attraction was launched - and we can heartedly recommend a visit! 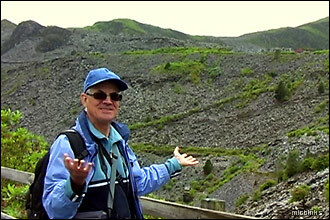 ...we left we took a look across the vast heaps of slate spoil towers, created by 90% of the rock extracted from the mines and quarries being discarded - shocking! 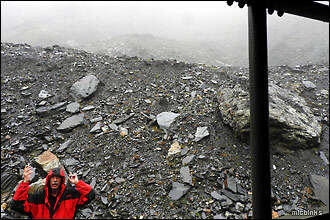 Today, slate is also used for ground moisture retention, in cosmetics and housewares. 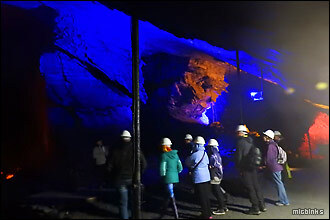 The Quarry Explorer and Deep Mine tours combined cost us £30 each on our 2018 visit to Llechwedd Slate Caverns at Blanau Ffestiniog in Snowdonia. 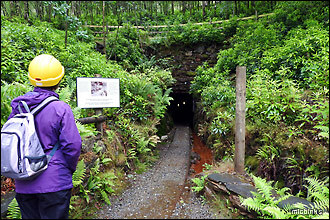 ...is self-paced and safety helmets are provided to protect denting one's head from contact with the low tunnel roofs. 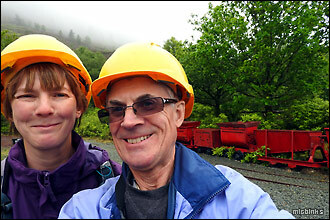 Don't we look lovely? 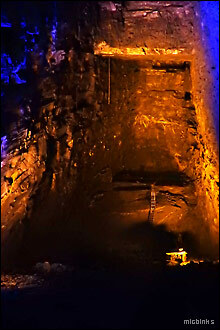 Off into..
...visitor centre we ditched the hard hats and took a look around the interesting museum of antiquities, detailing the copper mining history at Sygun. 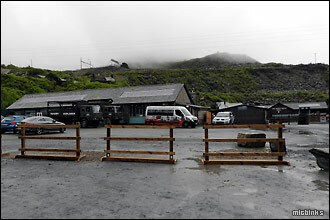 Facilities at Sygun Copper Mine include a picnic area, coffee and gift shop and kids activities. 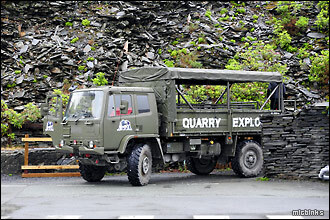 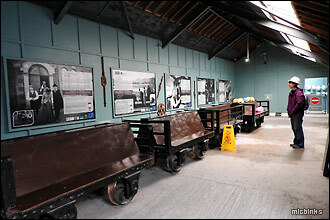 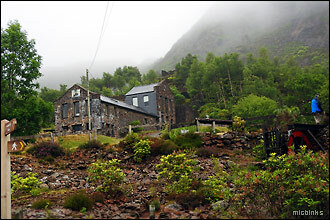 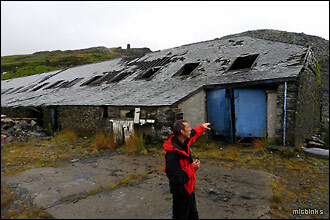 We also visited the National Slate Museum in Llanberis to learn more about Snowdonia's slate mining heritage. 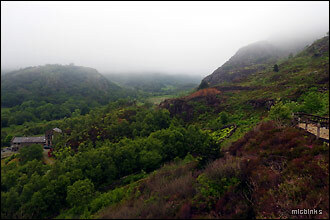 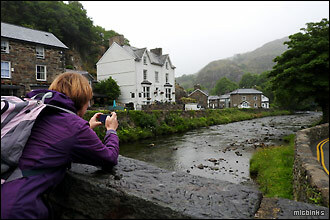 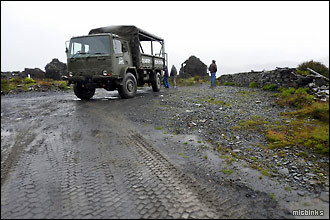 For more on the places we visited in Snowdonia check out our UK tourism resources. 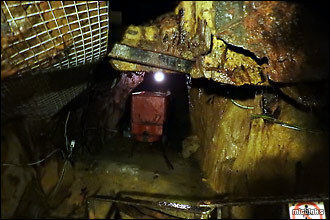 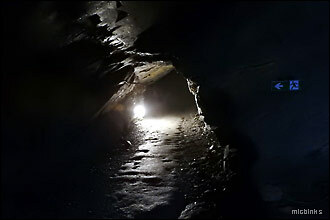 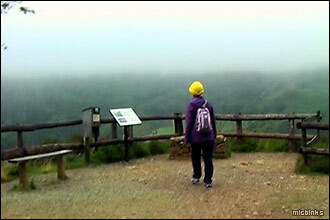 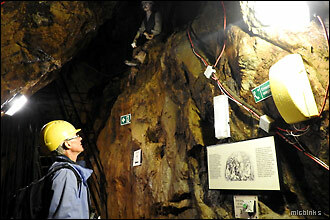 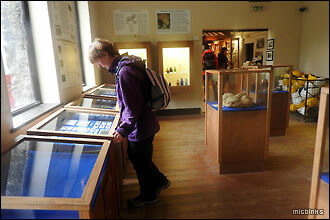 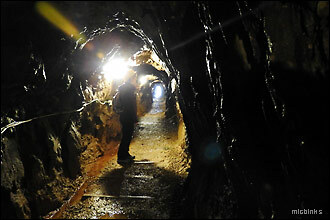 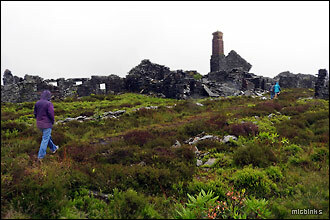 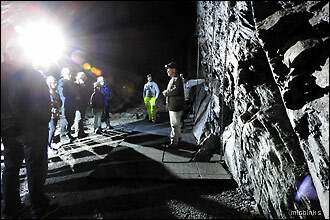 You may be interested to view our visits to Geevor Tin Mine in Cornwall and Clearwell Caves in Forest of Dean.